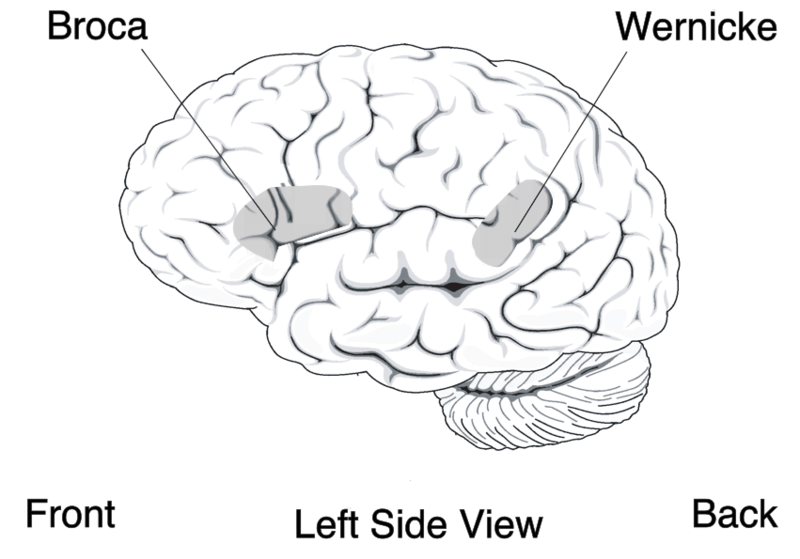 If Wernicke’s area is damaged in the non-dominant hemisphere, the syndrome resulting will be sensory dysprosody - the lack of ability to perceive the pitch, rhythm, and emotional tone of speech. ü Grammar, syntax, rate, intonation and stress are normal. ü Multiple Paraphasias are common. § Neologistic paraphasia - More severe mispronunciation, in which less than half the word is said correctly, if at all. ü Auditory comprehension and retention is poor. The patient may repeat the examiner's words without understanding them. ü The major impairment is semantic. The speech of Wernicke's patients is sometime called cocktail hour speech. ü Comprehension and expression tend to be equally impaired. ü Wernicke's patients can process the main point in conversations but miss the specific details. ü Word retrieval impairment is common. ü Confrontational naming is typically impaired. ü Alexia with agraphia may be present. ü Press of Speech phenomenon is common: Patients may speak very rapidly, interrupting others. It may seem as though the patient is striving for a sense of closure or a sense that (s)he has actually communicated what (s)he intended to say. ü The ability to understand and repeat songs is usually unaffected, as these are processed by the opposite hemisphere. "Melodic intonation therapy" can help stimulate the ability to speak with a normal rhythm and tone and recall information that is stored in a musical or rhythmic form. ü Patients also generally have no trouble purposefully reciting anything they have memorized. The ability to utter profanity is also left unaffected; however the patient typically has no control over it, and may not even understand their own profanity. 1) A deficit in the categorization of sounds. In order to hear and understand what is said, one must be able to recognize the different sounds of spoken language. For example, hearing the difference between bad and bed is easy for native English speakers. The Dutch language however, makes no difference between these vowels, and therefore the Dutch have difficulties hearing the difference between them. This problem is exactly what patients with Wernicke’s aphasia have in their own language: they can't isolate significant sound characteristics and classify them into known meaningful systems.